The Placerville Union School District (PUSD) recently selected Patricia Horn as the new Principal of Sierra School. 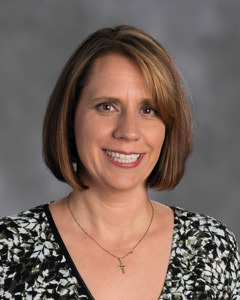 Horn brings with her a wealth of experience as both teacher and administrator with training credentials in Administrative Services, Multiple Subject Teaching, and Master of Arts - Education, Curriculum, and Instruction. “We are very excited for Patty to be part of the PUSD family. The experience and expertise she brings with her will only enhance the exemplary programs we have in place,” expressed Eric Bonniksen, Placerville Union School District Superintendent. Horn began her teaching career in 1998 with the San Juan Unified School District. She taught Kindergarten through fifth grade at John Holst Elementary, Oakview Community, and Coyle Avenue Elementary schools. In this role, she also served as Teacher in Charge, Positive Behavior Team Member & Behavior Support Team Lead, Leadership Team Member, Academic Parent Teacher Team Leader, Professional Learning Community Coordinator, ECE Integration Prototype K-12 Teacher Representative, and Smarter Balance and Northwest Educational Association Testing Teacher Leader. Prior to coming to Sierra School, Horn worked with the San Juan Unified School District as Vice Principal of Skycrest Elementary School. In this role, she served as PBIS team leader; created and maintained the Comprehensive School Site Safety Plan; interviewed, hired, and supervised recreational aides; planned professional development; and worked with local law enforcement and the community. Horn is a resident of El Dorado County is excited to now have the opportunity to work in the community where she lives. For more information about Sierra School.